Coasters are here! And just in time for the holidays. 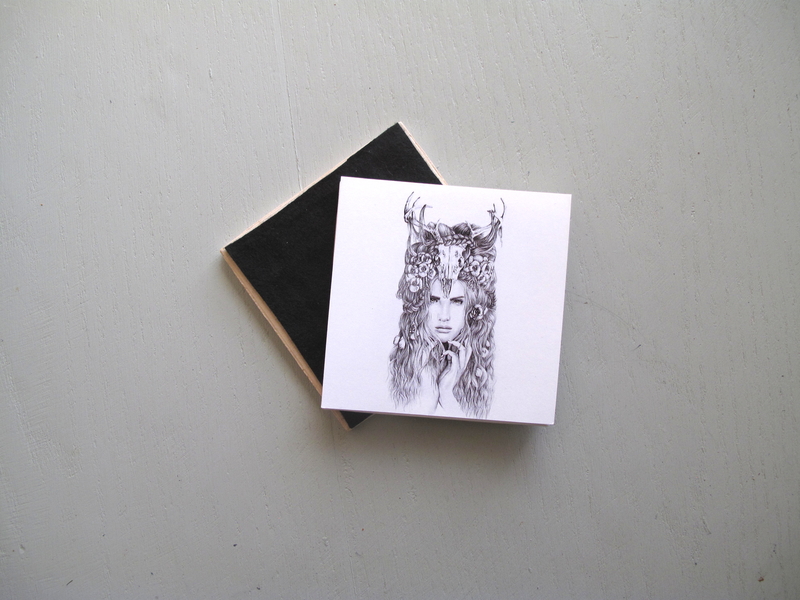 A handmade coaster with original Artwork by April Alayne available just in time for the holidays! This coaster is handmade by April herself and by hired local crafters in her neighborhood. Each coaster is carefully put together with love and care! And each coaster purchased helps an independent artist be employed for the season. 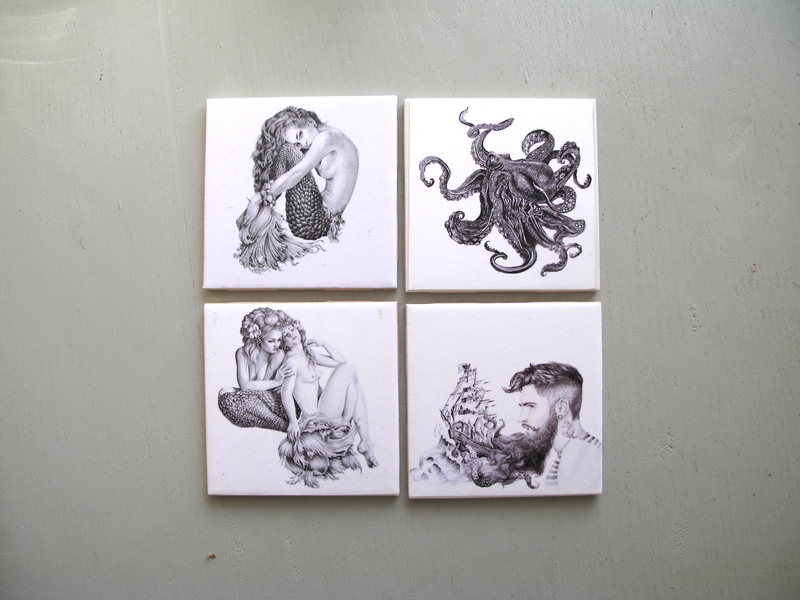 These ceramic coasters are 4.5 X 4.5 inches and sealed with a protective coating. The backs are hand cut soft 100% black polyester felt and provide a cushion and non scratch backing to protect your table tops. 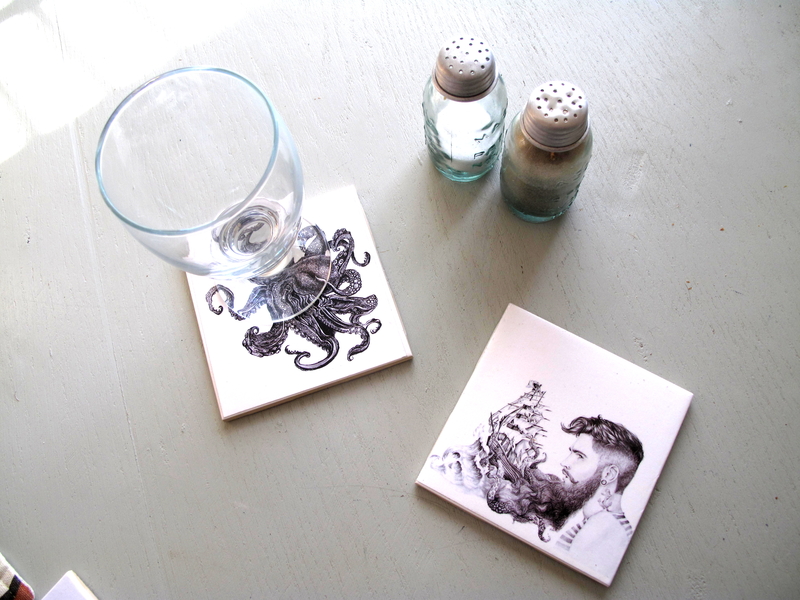 These coasters make a wonderful gift and recommended in sets of 4! You can have a nautical theme, a beard theme, a woodland theme or simply pick your favorites for you or family and friends. 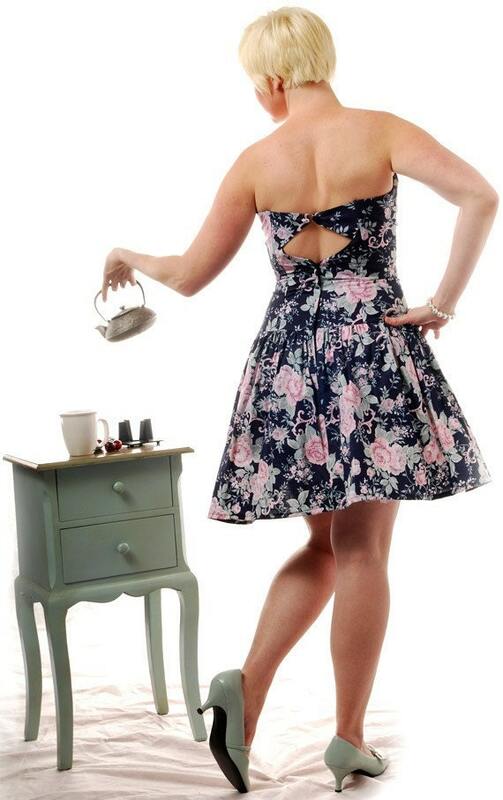 They make an interesting conversation piece and a unique collection for your home. 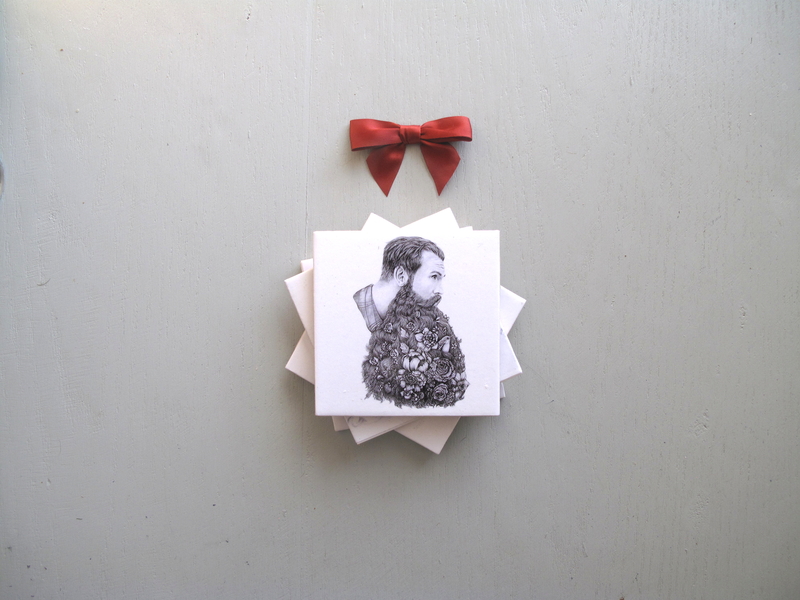 Posted in Artwork, craft, Handmade and tagged adorable, always april, AlwaysApril, Antlers, April Alayne, art, artist, arts and crafts, artwork, balloon, Baltimore, beard, beard art, bird, black and white, buy, ceramic, Christmas, coaster, coasters, coy, craft, craft show, etsy, felt, fish, flower beard, flowers, fox, gift for all, gift for family, gift for friends, graphite, hair, handmade, home decor, house, housewarming, illustration, mermaid, octopus, owl, owl mask, scales, ship, shop local, small business saturday, support, support handmade, tentacles, tile, tile ceramic. Bookmark the permalink.